Former President Barack Obama went with a pair of No. 1 seeds in his men's and women's brackets. WASHINGTON — Former President Barack Obama is picking North Carolina to win the men's NCAA tournament over Duke. 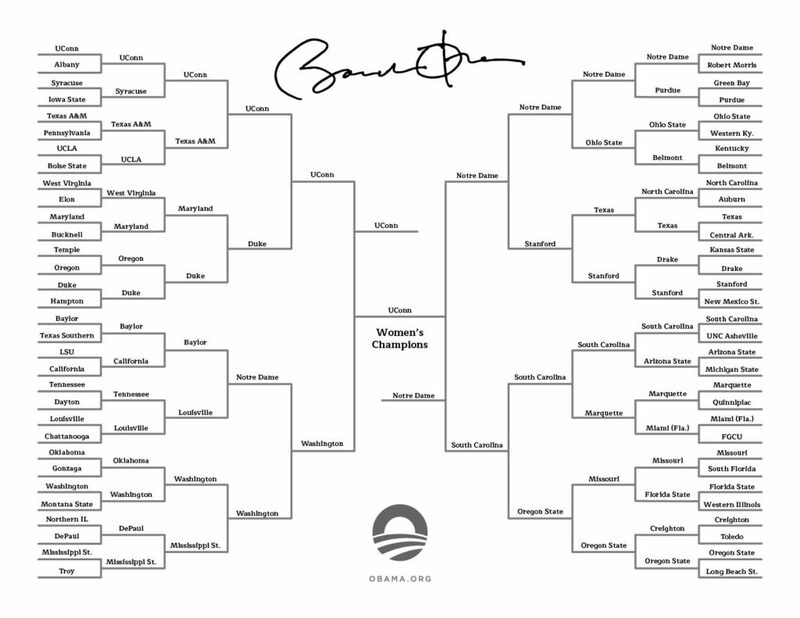 Last year, Obama had Kansas winning it all in his bracket. The Jayhawks lost to eventual champion Villanova in the Elite Eight. 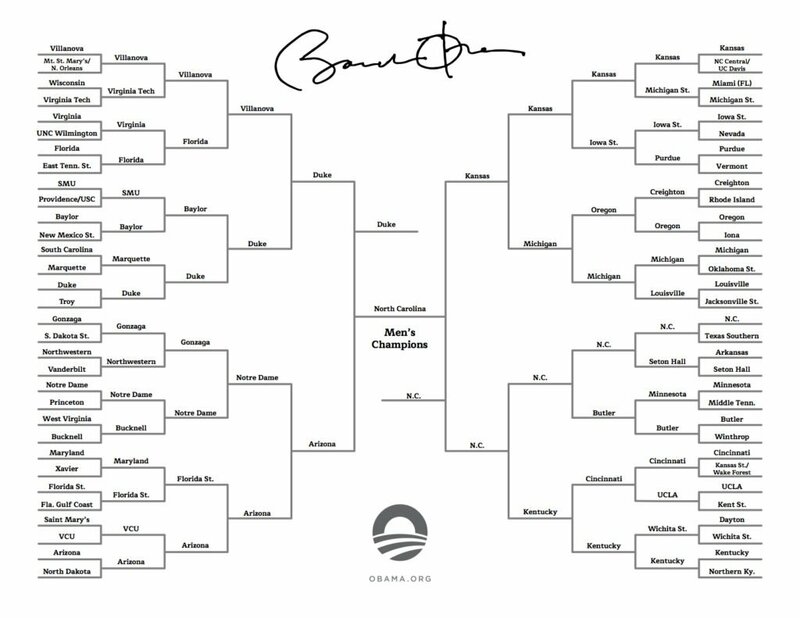 Obama also has Arizona and Kansas in his Final Four. Obama also picked UConn to win the women's NCAA title over Notre Dame, with South Carolina and Washington in the Final Four. Filling out NCAA tourney selections became an annual tradition for Obama, who is a college basketball fan and invited ESPN to the White House to televise his picks. ESPN has said President Donald Trump has declined to make picks this year.